1. Check your benefits booklet. Homeopathic coverage is typically listed under “Extended Health Services” under “Paramedical Practitioners” or “Paramedical Services” section. Here is a screen shot of what a booklet wording looks like with Desjardins, one of the insurers that provides homeopathic coverage. 2. 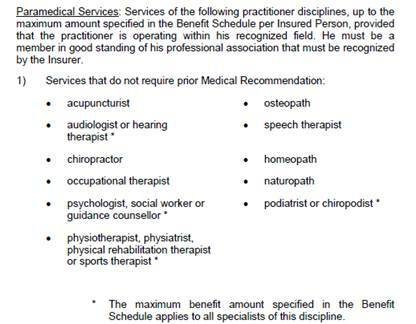 Most insurance companies require that your practitioner is operating within a recognized professional association (like the BC Society of Homeopaths). Check with your insurer to make sure that the practitioner you’re working with has a professional designation and/or education that is recognized by the Insurer. 4. If you cannot find locate your booklet: check with your Human Resources department and see if they can provide you with a copy. 5. You found your booklet, but no mention of homeopath. Now what? Check if you have a “HealthCare Spending Account” in place. Healthcare Spending Account (HCSA) is meant to top up your coverage and should cover expenses that are considered an eligible medical expense under the Income Tax Act. 7. No homeopathic coverage and no HCSA either? Check if you’re covered under your spouse’s benefits plan. If your spouse has “family” coverage with his/her employer, then there is a good chance that you’re covered under his/her plan. 8. Self- employed and no benefits? No company is too small for a quality benefits plan. Contact your employee benefits advisor who can assist with you with gathering quotes and outlining options available to your company. 9. Did you know? It’s very inexpensive to add Homeopathic coverage to your group plan! Ask your employer if they ever considered adding this coverage. 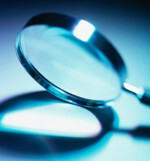 Many insurance companies are able offer this coverage, especially if requested. 10. Need help figuring out if you’re covered and/or if you can get covered? Contact Irina Robertson, Health & Benefits Consultant at Morneau Shepell. irobertson@morneaushepell.com or 778.327.5384 to review your health plan and/or booklet at NO CHARGE. Its my immense pleasure to get through your profile. We conduct conference on Traditional medicine 2017 in November(16-17, 2017) at Paris, France. We would like to officially invite you to be part of this important gathering. Please be in attendance at our meeting. Dear Rebecca, Thanks for checking out our website and thanks for the invite! I will check out the details you provided. What a great opportunity to bring CAM practitioners together for collaboration.